Climb aboard Stationary Bike -- a streamlined fever dream of a tale, in which an ordinary household object assumes otherworldly powers and a familiar journey takes a terrifying twist. When commercial artist Richard Sifkitz finally gets around to having that physical he'd been putting off for years, and his cholesterol comes back dangerously high, he does what so many thirty-something, junk food-eating couch potatoes have done before him: he buys a stationary bike, and vows to ride it regularly. Unlike many a mid-life exercise convert, however, Richard actually starts to ride his new stationary bike. A lot. Soon he's spending so much time on his bike that he decides to put his artistic talents to use and paint a mural on the wall opposite his stationary bike. But it turns out that Richard's mural is no ordinary picture -- and soon his stationary bike is taking him places he doesn't want to go...and can't stay away from. 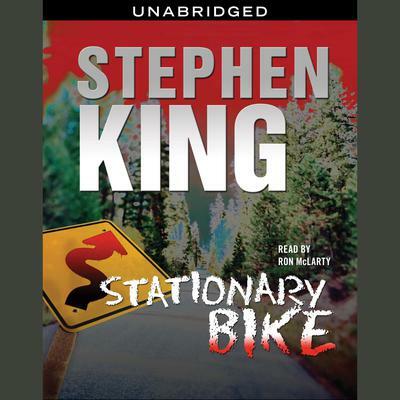 A riveting riff on artistic frustration, midlife mortality, and hard-won redemption, Stationary Bike is a thrill ride that could come only from the mind of Stephen King.